History: Stan the Pug was brought in to Wilston Vet Surgery because his family were concerned that he was urinating and drinking a lot more than usual. He was also lethargic and had lost weight even though there was no change to his diet or exercise routines. Examination: Dr Kate gave Stan a thorough clinical check over first and discussed with Stan’s family their concerns about his health. Dr Kate recommended a blood and urine test as the clinical signs such as the increased urination and thirst could indicate diabetes. This was even more likely as Stan had suffered with recurring bouts of pancreatitis (inflammation of the pancreas) for the previous 2 years. 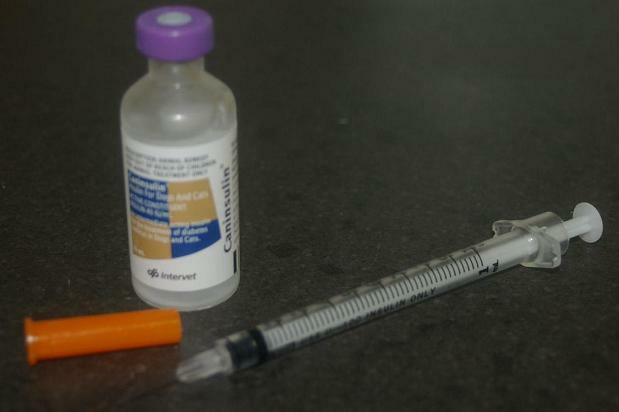 An abnormally high level of glucose in the blood (hyperglycaemia) and in the urine (glucosuria) is the most accurate way of determining if Stan had diabetes. Blood was taken from Stan and sent off to the lab for analysis and an in house urinalysis was performed. 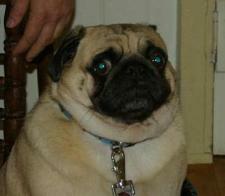 The tests came back and confirmed Stan did indeed have diabetes. The pancreas is the organ that produces insulin which is a necessary hormone that allows the cells in Stan’s body to absorb glucose for energy and daily processes. 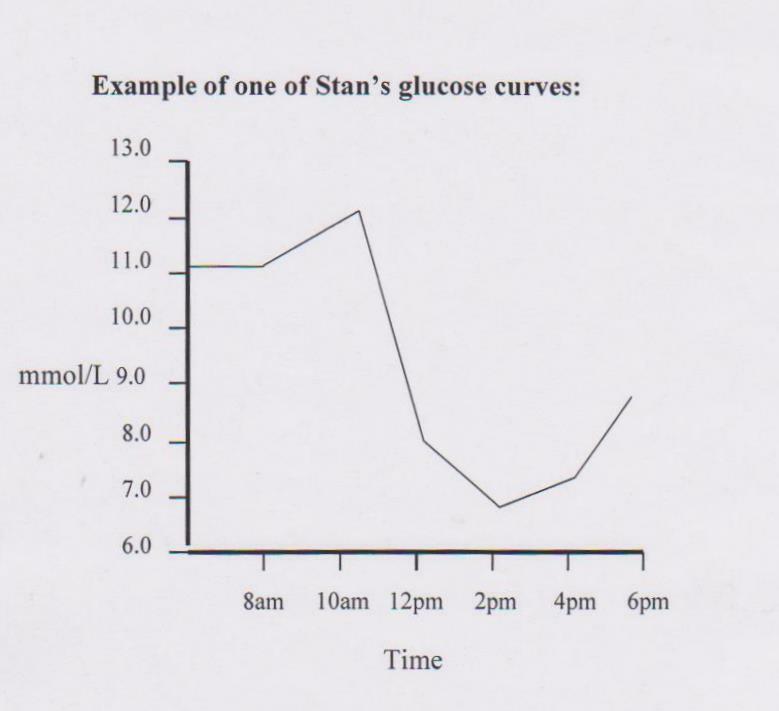 Diabetes occurred when Stan’s pancreas failed to produce enough insulin to control the amount of glucose (sugar) in his blood, or when cells in his body failed to respond to insulin properly. Because Stan’s blood contained a high level of glucose, some of it was able to leak through to his kidneys and into his urine. This added glucose in his urine dragged excessive amounts of body water with it, leading to dehydration and increased thirst to replace the fluid loss. Also, because of a lack of insulin, Stan’s body cells couldn’t utilize the glucose that was being produced from digestion of food so he lost weight and became lethargic. Treatment: The next step after Stan’s diagnosis was to stabilise his blood sugar levels by taking a series of blood glucose tests throughout the day to calculate the dose of insulin he would need. This series of tests is called a glucose curve. It can take several months for Stan to become fully stable, although improvements should be seen within a few weeks of starting treatment. Followup: Stan would be receiving twice daily injections of insulin for the rest of his life. Stan’s family were shown how to give him his injections under his skin via a tiny needle, so tiny that Stan would hopefully not feel it and become very comfortable with his new daily routine. Stan’s diabetes treatment routine included not only insulin injections but also feeding and exercise regimes combined with weight monitoring.